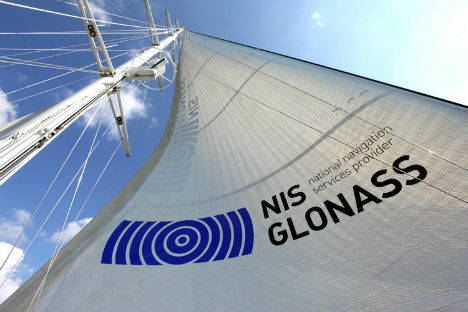 The AFK Sistema-controlled federal operator NIS GLONASS has established a wholly-owned Indian subsidiary, NIS Glonass Private Ltd, which plans to launch its products and services there, including equipment manufacturing, in early 2012. The company will operate out of an office in Mumbai. “We consider India to be our strongest and leading, albeit unfortunately only potential, partner in commercializing the GLONASS system,” Russian Deputy Prime Minister Sergei Ivanov told the Fifth Russian-Indian Trade and Investment Forum on November 11, 2011. NIS GLONASS analysts have found out that all equipment coming from Russia is too expensive for the local market. According to company representatives, their main task right now is to establish a local assembly plant in India. The price of the systems will then go down and they will become competitive in a market already flush with GPS-based solutions. The company is opening a subsidiary to establish and control the assembly of Russian-designed telematic terminal components. NIS-GLONASS will place orders with Indian companies that have expertise in assembling such systems. NIS Glonass Private Ltd’s Mumbai office expects to employ a staff of between seven and ten during its first year in business, including one or two Russians as well as local salesmen and tech support staff trained in servicing the Russian systems. The company hasn’t disclosed the amount of investment in the project. “We have customers – we are not yet calling them clients. These are private companies that have believed in us and are interested in cooperating with us. We are now starting to work closely with state-owned companies and with the Indian police. We are launching a pilot project at the KSRTС (Karnaka State Road Transport Corporation). This is a state-owned company responsible for passenger transportation, including intercity transport. We plan to install our bus fleet management and passenger information systems on the Mangalore-Mumbai line,” Vladimir Finov told ComNews. The company has said that the second stage of its partner network deployment would also involve the launch of a transit emergency alert system similar to the ERA-GLONASS, although its implementation requires close cooperation with the local regulator and the police. The problem is that the Indian police are only just beginning to implement IT and computer solutions, with little consistency across different departments. “We will offer them our product when they are ready,” Vladimir Finov said.